Carewatchers has designed a subscription-based referral and marketing service for independent living communities. We've been placing and referring elder/seniors in senior facilities and in independent living communities for over 15 years. Carewatchers is exclusive to only three independent living communities per city to provide you the most in referral opportunities. There are no additional referral fees or written contract. Carewatchers exposes your independent living community to our online elder/senior audience that is looking for a senior living community. Carewatchers has done the work and made the contacts to provide your senior living community immediate exposure which leads to more residents. If there is one thing we know to be true, if your community can't be seen, it can't be found. Carewatchers starts by placing the name of your senior living community, telephone number and descriptive information about your services in our community data base. 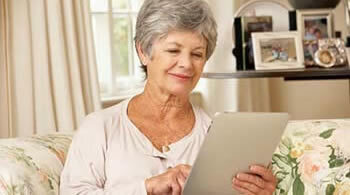 This listing allows elder/senior residents to call your community direct. Carewatchers also refers all pre-qualified calls, emails and forms we receive from hospital social workers, seniors living in independent living communities, skilled nursing facilities, health care professionals, rehab facilities, and family members looking for in-home care in your city. Before we refer a potential resident, we qualify them by asking for their care needs and/or preliminary medical diagnosis to get an idea of their level of care. Next we ask for their financial care budget to be sure they can pay the standard base rate and to cover all additional care. Last we ask for information about their social and cultural needs. The information of the potential resident will only be sent to you and two other in-home care agencies in your city listed in our data base. After notifying you of a potential resident, you have 24 hours to let us know if you're interested in that resident. Simply select a subscription below and we will be in touch with your agency within 24 hours to review your listing and to answer any questions you may have. If you would like to get started now, but your state or city is not currently open, please call 800-564-8185. 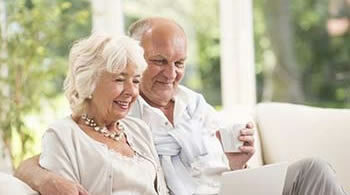 There are two subscription options that provide exposure, referrals, and new potential private pay residents. Both subscriptions provide benefits that help your agency attract new residents, however the subscription you select does make a difference. • Carewatchers adds your agency to our data base providing your agency exposure 24-hours a day, seven days a week for six months. If your agency can't be seen, your agency can't be found. • Potential private pay residents searching for home care on Google, Yahoo and Bing will see your listing in our data base 24-hours a day. Your agency must have internet exposure to attract new residents. • Social workers, rehab facilities and health care professionals looking for home care in your city will have direct access to your home care agency through your listing in our data base for six months. • Your subscription also includes a listing in our data base that allows potential private pay residents and health care professionals to call your agency direct. • Carewatchers sends your agency all emails and forms that we have qualified from potential private pay residents looking for home care in your city. • Carewatchers only sends qualified referrals to our three exclusive home care agencies in each city, unlike other referral agencies who send the referral to every in-home care agency in the city. • Carewatchers provides an affordable marketing tool that provides exposure for agencies that don't have a website and enhances your current marketing and provides an alternative. A one-time payment of 499.95 pays for a one year subscription that automatically terminates after the 12th month. To continue your subscription, you must renew at the beginning of the 11th month. There are no additional referral fees nor written contract. • Carewatchers adds your agency to our data base providing your agency exposure 24-hours a day, seven days a week for twelve months. If your agency can't be seen, your agency can't be found. • Social workers, rehab facilities and health care professionals looking for home care in your city will have direct access to your home care agency through your listing in our data base for twelve months. • Carewatchers will arrange a meeting with your agency and the potential private pay client who has contacted us looking for home care in your city.